Thank you for reviewing my performance. All of your answers will be anonymous, unless otherwise indicated. By filling out this form, you agree to allow me to use your review for promotional purposes. 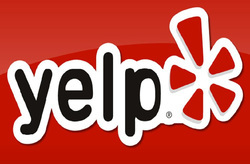 Would you be willing to review me on Yelp or Google Plus? Having public reviews brings me more social proof that I'm actually helping people. (Click on the pencil icon on the left side under "follow" to write a review).